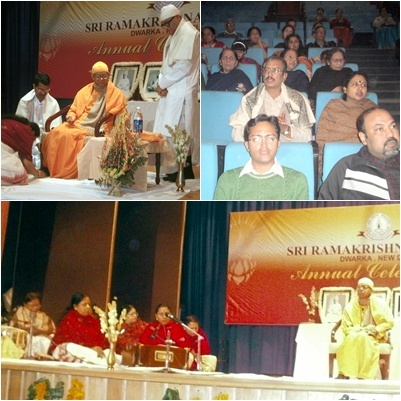 Sri Ramkrishna Sangh, Dwarka celebrated 7 th year of service to mankind in Dwarka. Srimat Swami Shantatmanandaji Maharaj, secretary of Ramkrishna Mission, New Delhi explained about the importance of positive values in life. The devotees felt very relaxed after the guided meditation. Sh. Arun, organizer informed Dwarka Parichay about the regular discourses and meditation classes in Dwarka branch. He appealed to residents to participate in meditation classes and live stress free life.